Unlike many writers, I don't like to lay my soul bare and dredge up emotional silt and muddy the waters, but I want to share some thoughts that have been simmering for quite a while. As any writer will tell you, the writing game is far from what people expect it to be. It's work, pure and simple, a work that the writer is compelled to do, often against their wishes. They have a story inside and they have to let it out. Of course, everyone likes to see positive results and returns from their work, and writers are no different. Any writer who tells you that they don't at least occasionally dream of fame and fortune is a liar. And for many, that dream does come true. In fact, those success stories are the fuel that keep many writers going, hoping for that one big break, like actors or singers who dream of that one hit that will change everything. I'm a fairly realistic person, and while I indulged these thoughts in my early writing years, I didn't let them take root. I was writing edgy Christian speculative fiction, which is about as small as a legitimate genre can be. I realized very quickly that I wasn't going to have a large audience and one book wasn't going to make much of a splash. I did my research and looked at what successful authors did to make themselves successful. One important point is having a lot of books available, and producing new ones fairly regularly. So I did that. In less than six years, I have released seven full-length novels and several short stories. I never hit writer's block, and I've never struggled for ideas. The words have always flowed fairly easily for me, and I thought, "Surely after a few years and a few books, I'll start to at least get noticed." That didn't happen as quickly as I thought, but I wasn't fazed. I kept writing, producing books in a variety of genres. I attempted to brand myself as an edgy Christian author who isn't afraid of controversial content or topics. At first I was self-published, then I landed on a small press, then self-published again, then joined a startup small press. 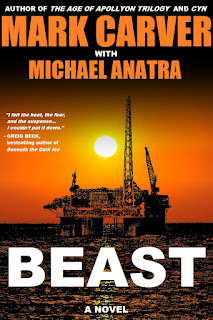 All the while, I was thinking, "It can't be long now..."
When my sixth book, BEAST, was released, I thought, "This is it. 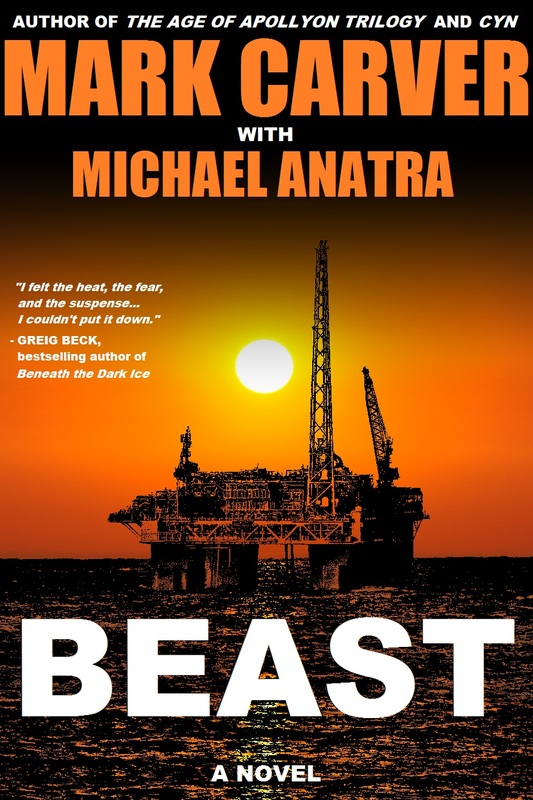 A book with mainstream appeal and Christian content, co-written with a real-life oil driller to make this story of an oil dig disaster as realistic as possible." It got a little bit of attention but was quickly lost in the literary sea. No big deal. 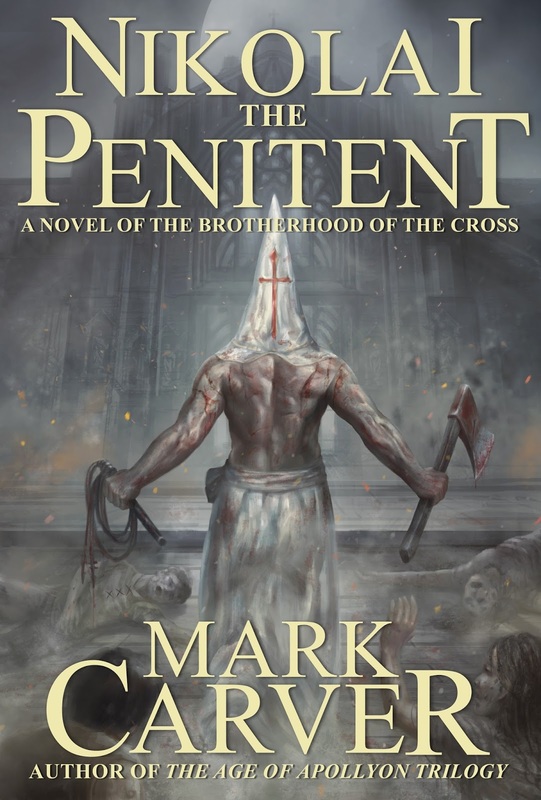 I was already working on what I believe to be the edgiest Christian fiction book of our generation, NIKOLAI THE PENITENT. It was going to be an epic medieval tale that would make readers squirm in their seats - a shocking cover, brutal violence, nauseating depictions of plague symptoms, sexual content, anti-Semitism, religious fanaticism, and the hope of redemption in the midst of horrors. I thought that there was no way this book wouldn't get noticed, either positively or negatively. Any publicity is good publicity. And it never materialized. The book did get some early positive reviews and then dropped off the radar astonishingly fast. 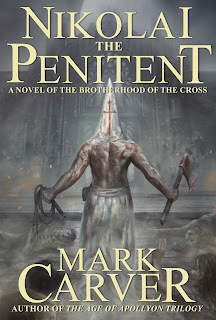 Besides my secular book INDELIBLE, NIKOLAI THE PENITENT is my lowest-charting book on Amazon. My magnum opus barely had time to spark before it was ash. Of course, the great thing about books is that they last forever, and many stories have been plucked from obscurity years after their initial publication. But as it stands, the stories on which I pinned my hopes have more or less sank like a rock. Now before you get worried about my mental state as a writer, don't fret. I'm hard at work on book #8 and I am enjoying it as much as I always have. I am a generally positive and energetic person who is not prone to depression and self-doubt as many writers are. A few years ago, I set a goal for myself to write thirty books in my lifetime. The reason I did this was because I could see that fame and fortune weren't going to come my way and I needed another source of motivation, and self-created goals have usually worked for me. If I didn't have this tangible number to strive for, I might just throw in the towel, as I have seen happen to several of my writer friends. Just as with a job, you can't go to work when you feel like it. If a writer wants to achieve some level of success, they can't just write when they want to and quit when the tank is empty. So that's where my head is at these days. I don't expect my new book to fly off the shelves when it's released, though I certainly wouldn't complain if it did. I've just learned to tamper my already muted expectations, and perhaps this is a lesson that God still thinks I need to learn. My goal should be to write the best stories I can as an offering to Him and as fulfillment for myself, not seeking the praise and affirmation of others. And that means I'll keep chugging along, cranking out story after story, exploring genre after genre. If I hit it big, awesome. If I don't, at least I'll have done my best, and what more can a man do? Just finished reading Nikolai. Wow! Pretty heavy, but I think you took a delicate subject and handled it well. Your portrayal of the filth and ignorance of the time was gritty, but well accomplished. I was holding my breath toward the end, not sure where Nikolai's character was headed after his attack on the Jewish settlement. I was glad to see you treated it the way you did. I also appreciated your comments at the end that clarified your own personal feelings. In an ideal world, you would not have to explain yourself; however, in these days of PC, it is often wise to do so. From one author to another, I encourage you to keep writing. Very well done, sir.